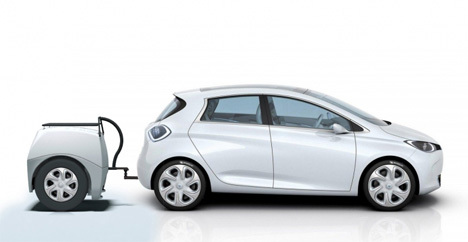 When someone decides to make the leap from a gas-powered car to an electric one, they know that they are giving up some of the conveniences of their previous vehicle. With EV charging stations still not available everywhere, trips have to be planned carefully and the EV owner has to calculate exactly how much power they will need to get there and back. The EP Tender is an interesting solution to this problem, albeit not a permanent one. 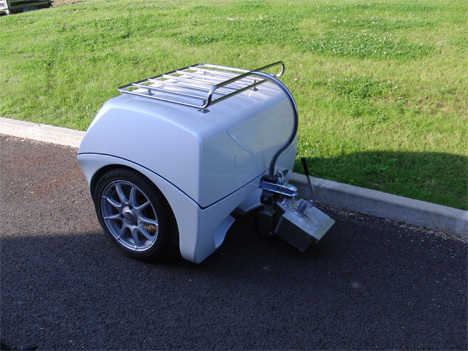 It’s essentially a little trailer that you tow behind your EV. 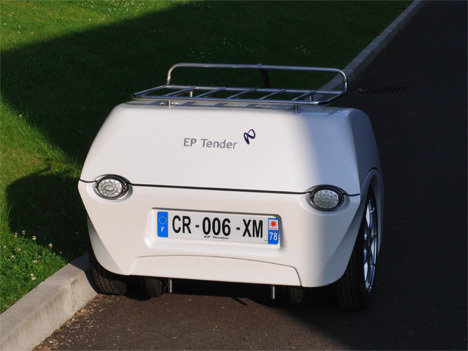 If your battery starts running low, the EP Tender kicks into action, turning on the generator inside the trailer. It feeds electricity into the car to keep it going further than would be possible with just the car’s battery. The device isn’t meant to be used as an everyday back-up. It was designed to be available for rent, used only periodically for the occasional long(ish) road trip to see a friend or visit a town that’s just a little out of your EV’s range. It can extend the range of some electric cars by as much as 360 miles. Some might say that towing a gas-powered generator behind an electric vehicle is ludicrous, but if the solution is used irregularly and only when truly needed, it probably still impacts the environment much less than driving a gas-powered car every day. See more in Cars & Trucks or under Transportation. August, 2013.